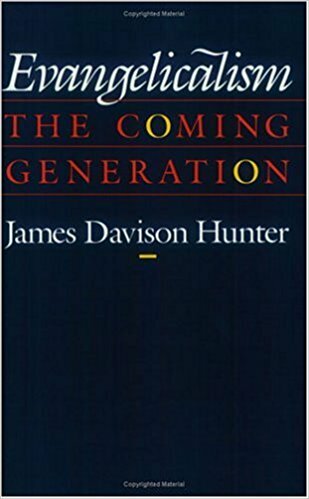 Biblical feminists will be interested in a chapter co-authored by Helen V. Stehlin which appears in James Davison Hunter's new book (1987) Evangelicalism: The Coming Generation (University of Chicago Press). The chapter is entitled "Family: Toward Androgyny." Hunter's sociological study of evangelical college and seminary students surveys current attitudes regarding world, morality, self, theology, politics, and the family. Readers will not all agree with all of the conclusions Hunter comes to, but every reader is sure to be fascinated by the vast body of data Hunter has gathered. The chapter on family contains some pleasant surprises for those of us interested in biblical feminism. Hunter seems to take a mildly alarmist position as he documents some "erosion" noted among evangelical students with regard to behavioral standards and theological concerns. The reader almost expects a similar, and somewhat typical attitude toward women. Such is not the case. Rather than bemoan the supposed downfall of a biblical view of family, Hunter and Stehlin invest the bulk of their energy in debunking the "traditional" Christian family concept as promoted by many popularizers of our day. The authors use the strong word "mythic" to describe the traditional family concepts as portrayed by Christenson, Dobson, and others. The authors have included a nine page excursus in which they correctly point out that the actual, traditional Christian family (the pattern which has prevailed during most centuries of church history) was: repressive patriarchy in which both husband and wife were forced to be economically productive in order to survive, where the marriage was unromantic and instrumental, where parents were largely indifferent to the emotional needs of their children, and where privacy was virtually non-existent. Obviously, this is not the "traditional" family pattern we hear so much about. Hunter and Stehlin correctly document that what normally passes for the traditional pattern is actually a nineteenth century bourgeois family frozen in time. While the critics of biblical feminism charge us with changing because of cultural shifts, they have been busy changing also, but only to a certain point (1880? 1900?). They are actually angry at biblical feminism not because it has changed but because it has changed more than they have! The greatest change made by the "traditionalists" is in the hypersentimentalization of the male role. It is interesting to note how the mainstream of evangelicalism is willing to androgynize the male but quite resistant to androgynizing the female. Seminary women are far less likely to endorse traditional family notions that are male seminarians. The same "roundly rejected" the image of women as passive and subordinate. One of the conclusions to the chapter is as follows: "Most Evangelical students are neither strongly traditional (bourgeois) nor strongly contemporary (androgynous) in their views of roles within the family. On average only about one in ten of the collegians and seminarians would be likely to endorse, enthusiastically, the model of the family advocated by Evangelical spokesmen." There is much more here. Read the chapter if you can!